Looks stunning - well marked buttons, and pretty spacious inside. Possibly slightly over priced - build quality is exceptional though. 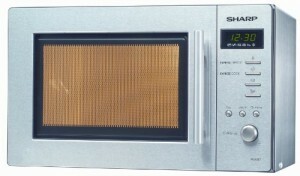 The Sharp R26STA is a slightly larger than standard solo microwave, featuring a 27.2cm turntable, 90 minute timer and 6 different power levels. It is priced slightly higher than the majority of entry level solo microwaves, but the extra cost has evidently been spent on the overall construction and finish - it feels solid to the touch, and features a beautiful stainless exterior. Our testers were unanimous in praise for the overall silver design and aesthetics of this Sharp appliance. Granted this model is slightly more expensive than the average solo microwave, but in terms of looks and construction, we feel this extra money is well spent. So should you buy the Sharp R26STA Microwave? If you're looking to buy a reliable and attractive stainless steel microwave, then the Sharp R26STA is ideal - very well constructed, 800w of power, a spacious 22 litre interior, and looks great. The R26STA will grace any modern kitchen. 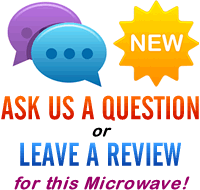 question for all your 800w solo microwaves. Which ones are A rated and have interiors that are not painted?